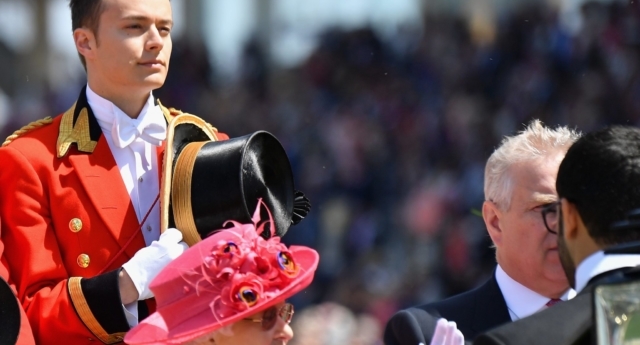 The first openly gay footman to serve Queen Elizabeth II has reportedly quit his job after being demoted from his position because of “courting publicity,” The Sun reported on Sunday. Ollie Roberts, a 21-year-old who has previously served in the Royal Air Force, was recently appointed to the role of personal footman to the monarch, which required him to live on the grounds of Buckingham Palace and to travel with the monarch. According to The Sun, Roberts was demoted to ordinary footman, meaning he could no longer walk the Queen’s dogs, take in her mail, hand her a blanket for her knees or be seen in public near the monarch. Roberts had made a first appearance by her side in June, for the Trooping the Colour annual ceremony in honour of the Queen’s official birthday, and was seen shortly afterwards accompanying the monarch on her outing for Royal Ascot, when she wore rainbow-coloured roses on her hat. Roberts, who has deleted his Instagram profile, did not provide The Sun with a comment. Buckingham Palace has also not commented on the story. Many had welcomed the appointment of an openly gay man to one of the most visible positions beside the Queen, who cemented her commitment to tackling anti-LGBT discrimination in the 2017 State Opening of Parliament. The younger generation of the Royal Family, including Princes William and Harry, have been praised in recent years for their positive stances on LGBT rights—and a relative of the Queen, her cousin Lord Ivar Mountbatten, came out as gay in 2016. Mountbatten recently married his partner James Coyle, an airline cabin manager in the first gay royal wedding. The two tied the knot in a low-key ceremony on September 22. He was given away at his wedding by ex-wife Penelope Thompson, with whom he has three children—Ella, Alix, and Luli. No members of the royal family were present— Prince Edward, who attended Mountbatten’s wedding to Thompson in 1994, sent his congratulations but he reportedly could not make it due to a diary clash.